PlayStation Access are giving away 2 free games on Facebook, Jewel Keepers: Easter Island and Urbanix are fun minis titles which you can download from PlayStation®Store to play on PlayStation®3, PS Vita and PlayStation®Portable. “Like” the PlayStation Access page to generate your Game Voucher which can be redeemed in the PlayStation®Store. Click here to visit PlayStation Acces. Get Big Fish Games Awakening: The Dreamless Castle, normally $10.39 AUD. You may need to sign in or create an account. Creating an account is easy only an email address and password are required for sign up. 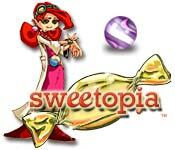 Click here to get Big Fish Games Awakening: The Dreamless Castle free. Get Big Fish Games Nightfall Mysteries: Asylum Conspiracy free, normally $10.39 AUD. You may need to sign in or create an account. Creating an account is easy only an email address and password are required for sign up. 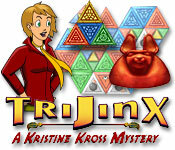 Click here to get Big Fish Games Nightfall Mysteries: Asylum Conspiracy free. Get Big Fish Games Fairway Solitaire free, normally $10.39 AUD. You may need to sign in or create an account. Creating an account is easy only an email address and password are required for sign up. 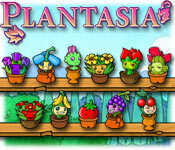 Click here to get Fairway Solitaire Free. Get Big Fish Games Hidden Wonders of the Depths 3: Atlantis Adventures free, normally $10.39 AUD. You may need to sign in or create an account. Creating an account is easy only an email address and password are required for sign up. 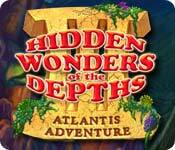 Click here to get Hidden Wonders of the Depths 3: Atlantis Adventures Free. 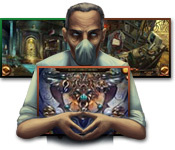 Big Fish Games Mystery Case Files: Ravenhearst is available again for free with coupon code. Just use the coupon code “FREERAVEN” when purchasing the game. Click the green “Buy It” button. Enter the coupon code: “FREERAVEN” and click the “Apply Code” button. You may need to sign in or create an account. Creating an account is easy only an email address and password are required for sign up. 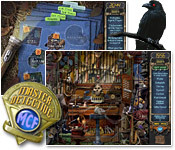 Click here to get Mystery Case Files: Ravenhearst ® free with coupon code. Telltale Games Back to the Future Episode 1 is still available free. You will need to sign in or create an account at Telltale Games. Click here to get Back to the Future Episode 1 Free. 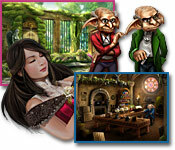 Here’s another coupon code to get Big Fish Games Mystery Case Files: Ravenhearst ® free. If you missed out the last time this one was posted just use the coupon code “ravenfree” when you’re checking out. Click the green “Buy It” button on the left. Enter the coupon code: “ravenfree” and click the “Apply Code” button. Here’s a coupon code to get Mystery Case Files: Return to Ravenhearst ™ for just $3.49USD use the coupon code “rtrspecial” when checking out. 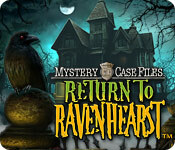 Click here to get Mystery Case Files: Return to Ravenhearst ™ for just $3.49USD with coupon code. Another free game from Telltale Games; Sam & Max: Night of the Raving Dead. Just click the ‘Download the Free Episode!’ button and you’ll be stepped through the process of getting your free game. Click here to get Sam & Max Episode 203 Night of the Raving Dead free. Get Telltale Games Back to The Future: The Game Free, it’s the first episode of five. All you need to do is click the ‘Redeem’ button on the site you’ll be prompted to sign in or create an account, your game serial code will be available in your account, and you’ll be emailed once the game is ready to be downloaded. Click here to get Back to The Future: The Game Free . I’ve never played The Sims myself, but EA Games are offering The Sims 2 Double Deluxe free as a direct download. The game comes with 2 expansion packs The Sims 2 Nightlife Expansion Pack and The Sims 2 Celebration Stuff Pack. You do need an account with EA Games, if you don’t already have one you’re prompted to sign in or create an account once you click the “Check Out” button. 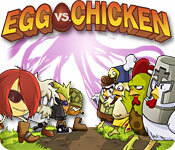 Be sure to check the system requirements on the site before downloading the game. Click here to visit EA Games. Get Big Fish Games Mystery Case Files: Ravenhearst free with coupon code. If you missed out the last time this one was posted just use the coupon code “WDRAVEN” when you’re checking out. 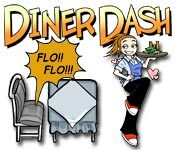 Enter the coupon code: “WDRAVEN” and click the “Apply Code” button. 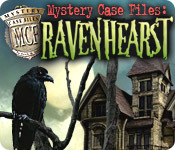 Click here to get Mystery Case Files: Ravenhearst Free. First choose one of the games above. Enter the coupon code: “PlayFirst5game”. You may need to sign in or create an account. Get Big Fish Games Mystery Case Files: Ravenhearst free with coupon code. Enter the coupon code: “FREERAVEN”. Click here to download Mystery Case Files: Ravenhearst ® free.